with Nylon Weave between Body segments. The New "Bite Me Lures" is so life like as it swims through the water. a bait fish foraging for food. 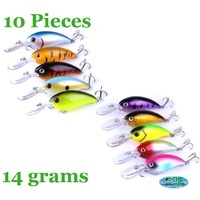 Slow - Medium sinking lure and best with a medium retrieve. swim action of this lures goes to work. Wind a few times then let it fall for a second, then wind it again.